Indian women self immolates after she failed to rescue her pet Cat. A Women from Andhra Pradesh, India, decided to give herself the harshest punishment, Self Immolation, for not able to save the life of her beloved cat. According to suicide note found, She decided to end her following the death of her cat and she was unable to save her pet life. Add "No Smart Phone" to you "To-Do List" for Healthy Regime. According to study carried out by researchers from Kent State University, Spending more time than required time may lead you unhealthy life. New York Daily news reported that the researchers found out that the persons who spent lot of time on their phone, more than 14 hours per day were less fit than those who spent about one and half hour a day. Did you explore the new Google Trends Visualize Hot Searches? Google is like gold mine when it comes to flow real data. Know what people are searching, Google it. Know what people are viewing, Google it. Know what your favorite Celebs likes, Google it.... Its hard to imagine internet without Google and its products in this Digital age. Google Trends is a product of Google which lets you know what people are searching and what hots on internet. The new avatar of Google Trend is very intuitive. Right in its homepage, it displays the hot topic for the day and its previous day. Indian Mobile Manufacturer Micromax emulating the Samsung Strategy ? Micromax is an Indian consumer electronic company which mostly deals with Telecom related devices. With Canvas inventory, Micromax has occupied second position in smartphone market share overtaking other popular brands like Nokia, LG and Sony. Before introduction of Canvas 4, Micromax mantra was to offer premium phone features with decent hardware at affordable price. But now I sense a change in its strategy, following Samsung type of success strategy. Here is why I fee so. Hookah can also be reason for Cancer, finds new study. In a new study conducted by researchers from UC San Francisco find that smoking hookah is no good from smoking cigarette. The researchers came to this conclusion by studying and measuring the chemical in the urine and blood sample of hookah smokers contains a different, but still harmful mix of toxins. UCSF research chemist Peyton Jacob III, PhD, and UCSF tobacco researcher Neal Benowitz, MD, both based at San Francisco General Hospital and Trauma Center, said hookah use exposes smokers to higher levels of carbon monoxide, especially hazardous to those with heart or respiratory conditions, and to higher levels of benzene, long associated with leukemia risk. 'Chak De' played instead of S Korean National Anthem during Asian Wrestling Championship medal ceremony. Looks like the popularity of Bollywood music is expanding beyond Sub-Continent and Hollywood. Lately at Asian Wrestling Championship, during medal ceremony, the organizers had faced huge embarrassment by not playing the South Korean National anthem, instead played popular Hindi song. The Korean who finished first and were waiting for their national anthem to be played were amused when they heard different tune. The organizers realized that it wasn't South Korean national anthem when the lyrics of the Hindi song started. The music was instantly cut off and the Korean participants were escorted off the podium without the national anthem playing ritual. 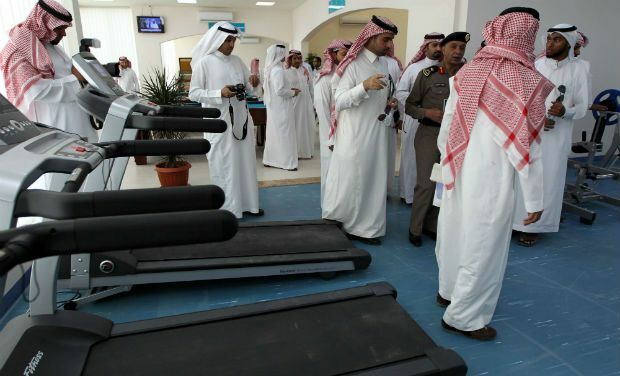 Saudi opens luxury rehabs facility for Al Qaeda militants to bring down religious extremism. Saudi authorities plans to slowly clear the minds of brain washed al-qaeda militants from their religious extremism with luxury nourishment. To do so, the authorities have open facilities which includes indoor swimming pool, gym center, a sauna and a television hall. 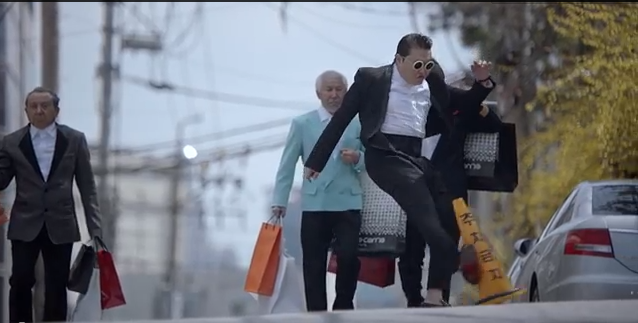 Psy's latest video 'Gentleman' banned by KBS, a state funded broadcaster for abusing public property in his video. Korean Broadcasting System (KBS), a state funded radio and television network says that it had banned Psy's latest music video (Gentlemen) from being broadcasted from their network because the latest YouTube sensation is shown abusing national(public) property. Saudi Arabia religious authorities (police) have deported three nationals of UAE for being too handsome, ya, you heard it right, for being "TOO HANDSOME". According to Arabic language newspaper Elaph, sitting in the stands as delegates from the United Arab Emirates (UAE) at the Jenadrivah Heritage and Cultural Festival in Riyadh on Sunday, nothing seemed to be wrong with the men in question but that didn't stop the mutaween, Saudi Arabia's religious police, from charging in and hauling the men away. A selection of documents seized in last year's raid on bin Laden's house in Pakistan will be posted online Thursday by the Army's Combating Terrorism Center at the US Military Academy. The correspondence shows a leader revered but sometimes ignored by field commanders, who dismissed him as out of touch even as he urged them to keep attacking US targets. Mr John Brennan, White House counter terrorism Chief, says that bin Laden wrote of his worries that his leaders were being killed so quickly the group would not survive. You can read the documents(Laden's unspoken words) from this Combating Terrorism Center's site. Michael Jackson to be back on Pesi Ads. The Purchase, New York-based company on Thursday is announcing its deal with the estate of Michael Jackson to use the late pop star's image for its new global marketing push. The duo first join hands back in 1983, did not disclose the terms of its deal with the singer's estate. The promotion is part of a global marketing blitz planned for the year ahead by Pepsi, which is looking to revive its brand and win back market share from The Coca-Cola Co.
Next week, Pepsi is also launching a TV ad featuring singer Nicki Minaj and announcing details of its partnership with Twitter to stream concerts online. Ashton Kutcher, portraying Bollywood “brown faced” producer in Popchips Ad lands into racism row. The 34-year-old actor appears as Raj, a ‘39-year-old Bollywood producer looking for love’ in the advert for PopChips, has now been surrounded by a racism storm after donning ‘brown face’ makeup. In the dating themed film he says he is looking for ‘the most delicious thing on the planet’, as well as indulging in appropriately cheesy Bollywood parodying dancing. The ad has drawn the wrath of many on the Internet, including Indian-descended rap group Das Racist. The spokesman at the company explained the ad was not meant to be offensive, though stopped short of offering an apology. New york Times reports, potato chips that featured the actor Ashton Kutcher playing an “Indian” character named “Raj” in brown makeup with a sing-song accent appears to have been pulled after drawing heavy criticism from Indian-Americans the day it started. The $1.5 million campaign, developed by the chip company Popchips, Mr. Kutcher and the ad agency Zambezi, and promoted by Alison Brod PR, featured Mr. Kutcher as four different male characters looking for love. MIT and Harvard, two of the World’s Top Universities, join hands in a new partnership to offer courses online and for free. An initiative called edX, an online learning system which allows students to acquire knowledge across various course from a distance, has been initiated. Harvard and MIT each committed $30 million to the project, which will be overseen by a not-for-profit group based in Cambridge. Anant Agarwal, who led the development of MITx and directed MIT's Computer Science and Artificial Intelligence Laboratory, will be edX's first president. Racist UK lady goes to jail, after her video abusing Asian goes viral on Internet. A woman who hurled racist abuse at an Indian-origin man on the London Underground Metro is likely to be jailed after admitting her offence. Investigation has been launched by the police after a video of the incident went viral on the Internet. The incident occurred on the Central Line between St Paul's and Mile End stations on January 23 when Jacqueline Woodhouse, 42, apparently in an inebriated state, lashed out against fellow passengers. Nokia will continue it's partnership with Carl Zeiss, despite reporting losses. Finnish mobile manufacturer has decided to extend its partnership with digital photography giant Carl Zeiss. “When joining forces with Nokia in 2005, we wanted to push the boundaries of mobile photography. Looking back at seven years of successful partnership, we are proud of the innovations and outstanding products created in this shared journey,” Carl Zeiss’s Michael Kaschke said in a statement. Recently, the Lumia 710 instantly pushed Nokia to one status in the list of top-selling Windows Phone manufacturers, largely because of its highly accessible price of just $50 after service agreement and mail-in rebate. Scientists get hands on oldest blood of a human. Scientists have discovered the world's oldest blood cells in the remains of a 5,300-year-old iceman found in Italy. The scientists found traces of blood around an arrow wound that killed the man in the mountains of what is now the Alto-Adige region of northern Italy. "Otzi the iceman" was discovered in 1991 at 3,200 metres in a glacier by hikers in the German-speaking region near the border with Austria. After using a microscope to identify what appeared to be red blood cells, they confirmed the discovery by using an atomic force microscope which identifies molecules with a laser beam. Drydocks World, shipbuilding arm of Dubai World has announced plans to build a series of underwater hotels in the UAE. It has signed an agreement with a Swiss contractor to develop the World Discus Hotel, which would be partly submerged under the sea. According to Drydocks World, BIG Invest Consult will provide technological expertise for the unique project that would also include a laboratory for ocean environment protection and research. Biggest, brightest Moon on May 6. "Moon will appear 14 per cent brighter than the average full moon and also the year's biggest," said C.B. Devgun, of Science Popularisation Association of Communicators and Educators (SPACE). He said the biggest and brightest moon is definitely not to be associated with natural disasters in any way. "All that will happen is the moon will appear brighter and exert more influence on the tides due to its increased gravitational force. There is nothing to worry about this activity," he added. Manchester City, third-highest salary payers in world sports. According to a study conducted by sportingintelligence.com, Barcelona is the best paid team in global sport, with Real Madrid in second place but Manchester City have stormed into the top three and continue to close the gap on the Spanish giant. This study is based on measuring by average first-team wages. The report said Manchester City paid an average of 86,280 pounds per man per week, or 4.5 million pounds per year, the highest salaries ever paid in the English Premier League, which is also the world's richest football league. An American engineering student, left forgotten in a holding cell by federal drug agents without food or water for five days, claims he survived by drinking his own urine. Daniel Chong, a student of University of California, San Deigo was taken into custody along with eight others in a DEA raid on April 21 that unearthed 18,000 ecstasy pills, other drugs and weapons. Chong was finally found on April 25 and taken to a hospital for treatment for cramps, dehydration and a perforated lung. Chong's attorney plans to file a claim suit against the federal government. Crazy hairstyle by football superstars. Again Dubai is home to World's tallest tower. This time its residential tower.